By definition, gamification is the application of gaming elements and mechanics to non-gaming contexts. The approach is deemed to attract and hold users’ attention in a uniquely powerful way. Having now proven itself far more than a gimmick, gamification has claimed its place as the must-have addition for best-in-class eLearning. At PulseLearning, we make learning fun because essentially, having fun enhances information retention. According to gaming expert Gabe Zichermann, 75% is psychology and 25% technology. Organizations need to be acutely aware, however, that a gamification approach in itself will not automatically solve the issue of employee motivation. Managers need to look closely at the learner behavior changes required and develop a training strategy that changes employee behavior by addressing the problem of motivation. At PulseLearning, we believe gamification is about engagement. Our instructional design process is focused on the learner and ensures content is meaningful, motivational, and memorable to achieve the best results. We seek to identify the types of gamification elements that will make the most sense for your organization and your employee and ensure a continually high level of learner engagement. PulseLearning’s service is employed across all sectors including Technology, Hospitality, Retail, and Financial. Among our Clients using our gamification service are Sears Holdings Corporation (SHC), Goodstart Early Learning, and Australia Post. 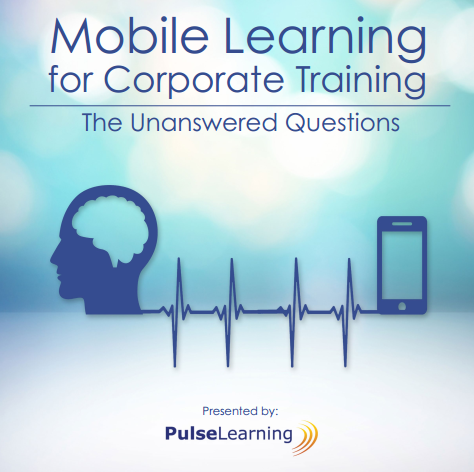 Is Gamification the Remedy for Corporate Training Issues?